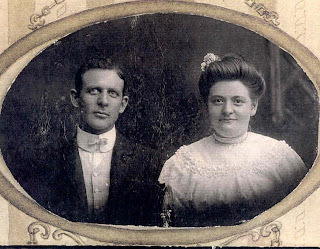 My grandfather, John Bell Bennett, was born October 11, 1872 in Payson, Utah. He died February 28, 1946, well before my birth. I therfore never got to know him, but rely only on stories of him (primarily from my Mother, Marcelene) and family photos. John was deaf, and as a result was limited in the employment he was able to get. The depression of the 1920's was particularly difficult on John and his ability to support his family. 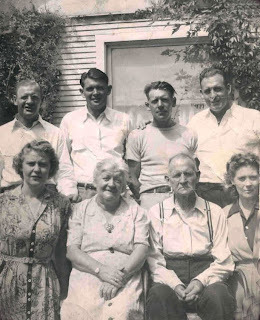 As I understand it, Grandpa Bennett was a loyal, hard worker and worked in a lumber yard in Provo, Utah. Grandpa Bennett loved to go the the silent pictures when they first came out because they had subtitles written so that he could better understand what was going on in the movie. He was very disappointed later in life when the silent pictures were eventually replaced with "talkies" and the written sub titles were eliminated. 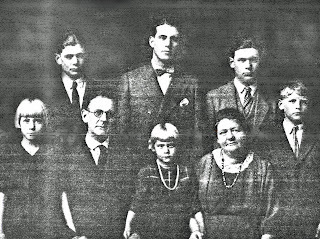 Raising a family of six children was difficult enough, but with a husband who was deaf, Grandma Bennett relied on her patience, love and understanding. 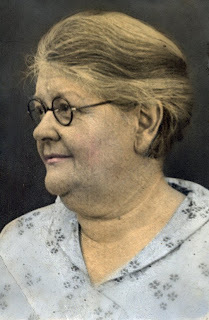 These traits were characteristic of her and I especially noted them in my mother, Marcelene. My mother often commented that although her Dad was deaf, the children loved him and learned to communicate freely with him. 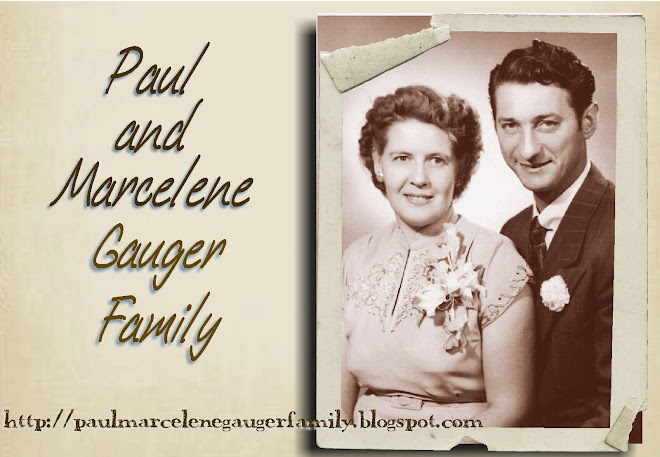 Grandma and Grandpa were faithful members of the Church of Jesus Christ of Latter Day Saints. The only personal recollection I have of Grandma is a brief and vague one, when I was three and one half years old. Grandma’s last days were spent at the home of Elaine, her youngest daughter, in Midvale, Utah. Again, an example of the love and caring that Grandma instilled in her daughters. I remember visiting Grandma at Aunt Elaine’s home and that she was bed ridden and weak. She died shortly after this visit on October 14, 1955. Grandma is best remembered for her charity – see the article posted below of her dressing as Santa Claus and serving the children of her neighborhood. I did not know my Bennett grandparents, but I know the faith in God, service, love of family and other Christ-like traits that my Mother possessed came from these wonderful individuals. They must also have had a great sense of humor, despite hardships in their lives, for each of their children had personalities and senses of humor that made them fun to be around. Mother always made it a point of visiting her brothers and sister and this became a blessing to me as I grew to know personally and enjoy being with my Bennett uncles and aunt. Very Cute post. I love the photos.